Crowns and bridges are also used in the creation of prostheses. Whether they’re made of gold, porcelain or high-grade ceramic, the quality prosthetics we build combine both comfort and stability. 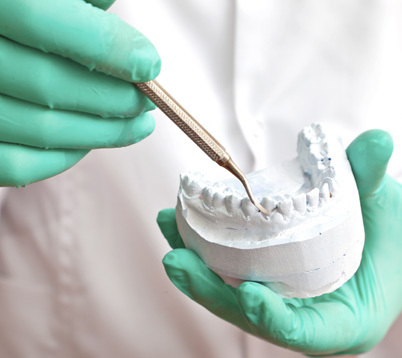 For optimum precision, we have used proven CEREC 3D computer technology for over 15 years to build certain prosthetics. Greatly appreciated by patients, the CEREC 3D automated system restores your tooth to its original shape.